not a very nice thing to say…this isn’t what I expect from MCS. Its true of course lol. People keep forgetting that phones can make voice calls. or the some people are legally blind or have problems with depth or are in some other way visually challenged. still funny, tho; is that Whoopi Goldberg?! no, it’s not whoopie goldberg, although it looks a bit like her. 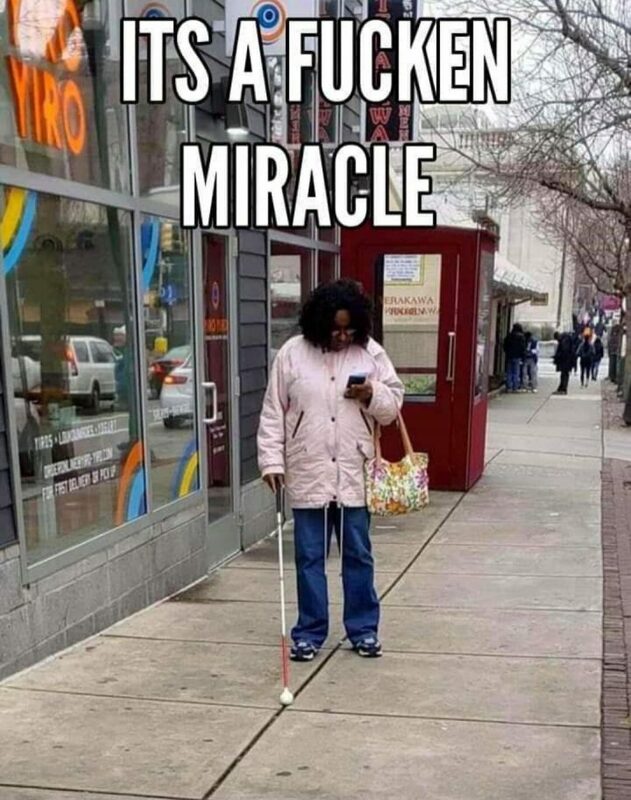 no, it’s not a “fucken miracle”, it’s a blind person using voice response and computerised mapping on their cell phone, to tell where they are.